Leaving Adelaide, enjoy a scenic tour alongside the Torrens River through the spectacular Torrens Gorge, see Kangaroo Creek Reservoir, Millbrook Reservoir, Williamstown (beautiful stone buildings) and learn the secrets of Barossa Reservoir's 'Whispering Wall'. Stop at Lyndoch Bakery for complimentary coffee or tea and a German sampler plate of sweet treats. Discover the art of great winemaking on your 'Behind the Scenes' guided tour of Jacob’s Creek Wines, housed in a charming historic chateau. Enjoy a tutored wine tasting incorporating introductory wine education, view the original winery built in 1897 with traditional winemaking equipment. Stop at Barossa Chateau for a delicious Special Lunch, your two course winery restaurant lunch with the opportunity to taste wines from this highly regarded vineyard. Experience the panoramic views over the Barossa Valley from Mengler's Hill lookout, continue through the old mill town of Woodside and the Adelaide Hills. Stop at Hahndorf (Australia's oldest German settlement), stroll under the Elm trees along Hahndorf's main street, see quaint cottages, craft shops and tea rooms. See the delightful villages of Crafers, Stirling, Aldgate (all set amongst the lush greenness of the Adelaide Hills) and Bridgewater (with Bridgewater Mill and Waterwheel). Head back to Adelaide with a deep appreciation of the Australian wine industry and the beauty of the Adelaide Hills. Time to say goodbye to beautiful Adelaide and friendly hotel hosts. Your transfer will take you to Keswick Train Station to meet the Ghan. 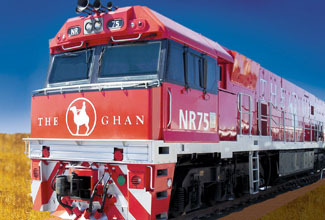 Experience Orient Express style luxury contrasting against the raw beauty of the Red Centre onboard the legendary Ghan. As you arrive into the Red Centre of Australia you can still sense the strong pioneering outback spirit of Alice Springs. You will be transferred from the airport to your hotel. You can relax and use the rest of the day to explore your hotel and its facilities, perhaps take a stroll around the neighbourhood and central Alice Springs. Adelaide Hotel to Railway Station Transfer, 1 Night Gold Service Cabin on the Ghan, 1 Breakfast, 1 Lunch, 1 Dinner, Luxury Katherine Gorge (Darwin to Alice Springs customers only), Railway Station to Alice Springs Hotel Transfer. Discover this historic pioneer town, famous for Afghan cameleers, gold-diggers, flying doctor base, school of the air, the usually dry Todd River, the Simpson Desert, ‘A Town Like Alice’, contemporary Aboriginal art (Todd Mall) and the Aboriginal Arrernte people. 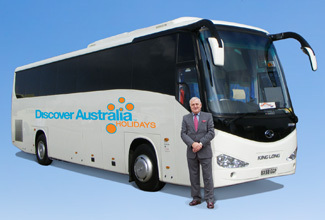 4.5 hour luxury coach tour with great informative commentary from our experienced local guide. The iconic town of Alice Springs in Australia's Red Centre is home to a proud pioneer history, a frontier town surrounded by vast swathes of ochre desert, this cosmopolitan town has a vibrant arts scene and a rich Aboriginal culture, shop at Alice Springs Street Markets, visit the historic Telegraph Station and see the diverse plant collections at Olive Pink Botanic Gardens. Spend the day exploring Alice Springs at your own leisure. Experience Orient Express style luxury contrasting against the raw beauty of the Red Centre onboard the legendary Ghan, and then discover balmy tropical Darwin for 5 nights. Immerse yourself in this ancient land and feel the true spirit of Australia. When you arrive into Darwin you can sense the cosmopolitan and thriving atmosphere of this historic tropical north Australian city. You will be transferred from the train station to your hotel. You can relax and use the rest of the day to explore your hotel and its facilities, perhaps take a stroll around the neighbourhood and central Darwin. Alice Springs Hotel to Railway Station Transfer, 1 Night Gold Service Cabin on the Ghan, 1 Breakfasts,1 Lunches ,1 Dinners, Luxury Katherine Gorge Tour, Railway Station to Darwin Hotel Transfer. Enjoy a leisurely start to your day today before your fascinating 4 hour guided tour of Darwin’s rich culture and history. Your friendly local driver will pick you up in the comfortable air-conditioned coach before sharing experiences, facts and enchanting stories in the on-board full commentary. Enjoy the sights of our unique city. As the sun goes down you will cruise off into the balmy tropical evening on a relaxing 2.5-hour sunset cruise around the harbour. Dine onboard the vessel, savouring a delicious buffet dinner (with salad bar), a choice of complimentary drink and first-class service as you look out across the Arafura Sea. What an amazing first full day in the Top End! Travel inland to cruise a section of the Adelaide River. The Adelaide River starts in Litchfield National Park and is well known for its high concentration of saltwater crocodiles, along with other wildlife. An excellent opportunity to observe these primeval creatures as you cruise along the Adelaide River. Today you will cruise the Adelaide River in crocodile infested waters, visit the Wetlands Visitor Centre, see Fogg Dam Nature Reserve. Today is an amazing adventure. World Heritage-listed Kakadu is internationally famous for very good reason. Experience Australia’s biggest national park - with its dramatic escarpments, tropical rainforest, lush wetlands, millions of migratory birds, thundering waterfalls, sparkling waterholes, crocodiles, rock art galleries (up to 50,000 years old) and traditional aboriginal owners, the happy and proud Bininj / Mungguy people. At Kakadu National Park on the South Alligator River, take a short guided walk to Nourlangie Rock to see ancient Aboriginal rock art (optional but included in the price), enjoy a tropical buffet lunch (cold meats, salad and fruit), take a 1.5 hour guided cruise on Yellow Water Billabong, spotting for crocodiles, brolgas, magpie geese and kites. Take in the serenity and beauty of the Kakadu wetlands. Head back into Darwin after a full day of discovery. Breakfast, Meet and Greet Personalised Return Transfer. 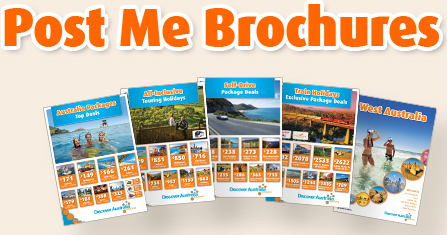 You have 3 choices of accommodation in Adelaide, Alice Springs and Darwin. Our "Good Standard" central Adelaide, Alice Springs and Darwin hotel has great facilities, a comfortable room and friendly service (typically 3.5 stars). Alternatively, why not treat yourself? The "Deluxe" hotel has superior facilities, stylish room and first class service (typically 4 stars). The “Luxury” hotel is upscale with a more luxurious feel for the discerning traveller and great for celebrating an anniversary (typically 5 stars). You will be transferred from Adelaide Airport on arrival in Adelaide to your central Adelaide hotel and transferred from your Adelaide hotel to the Ghan railway station. You will be transferred from the railway station on arrival in Alice Springs to your Alice Springs hotel. You will later be transferred from your hotel to the Ghan railway station for your journey to Darwin and from the Ghan railway station on arrival in Darwin to your Darwin hotel. You will also be transferred from your hotel to Darwin airport for your journey home. You receive the FREE DISCOVER AUSTRALIA Bonus Voucher Book that includes $500 value of discounts and bonuses throughout Northern Territory and South Australian at shops, restaurants attractions, wineries etc. It's a great way to save even more on your holiday. The Ghan with Adelaide, Alice Springs and Darwin All-Inclusive is very popular. Many dates book out well in advance, please book soon.